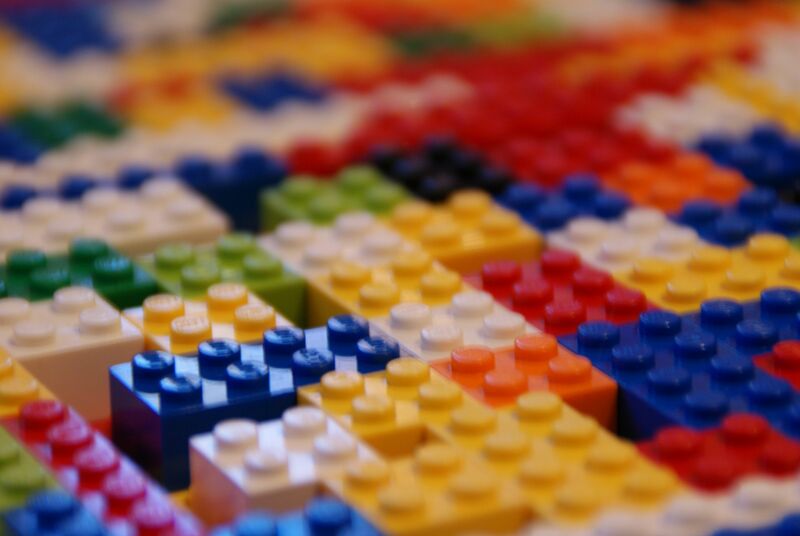 We should think about getting in contact with LEGO and offer them our future bioplastic - and make all kids (and their parents) happy with a sustainable answer to the big question! Our Advisory Board member Sven Panke is leading the Gordon Research Conference - join us! Colloquium "Synthetic Biology: Opportunities for Interdisciplinary Research from Biology to Engineering"
Synthetic Biology combines competences and procedures of engineering sciences for analysis, design and synthesis in bio(tech)nology. This is made possible because analysis benefits from continuously improved quantitative analytical methods, design is enabled via mathematical models displaying complex processes within a cell, and this design can synthetically be realized with more and more new molecular tools. With this colloquium we want to stimulate new possibilities of cooperation in the area of synthetic biology between engineering scientists and bio(techno)logists on site. 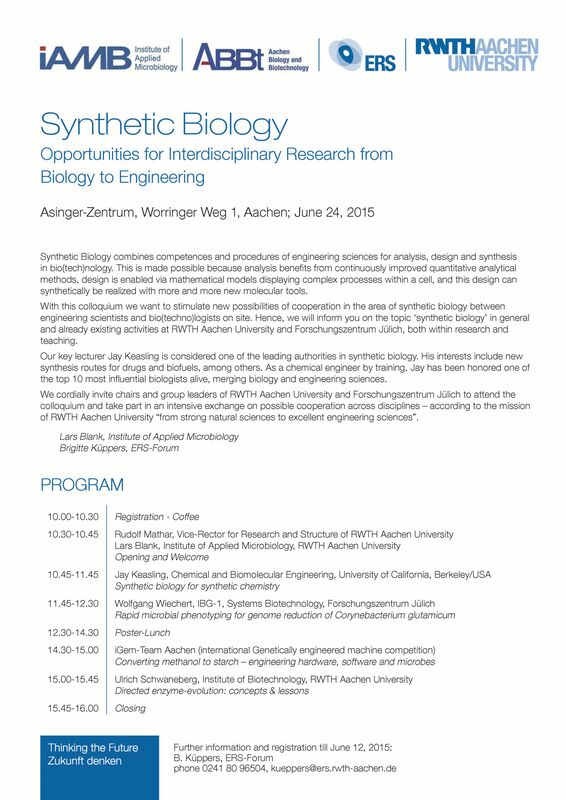 Hence, we will inform you on the topic ‘synthetic biology’ in general and already existing activities at RWTH Aachen University and Forschungszentrum Jülich, both within research and teaching. Our key lecturer Jay Keasling is considered one of the leading authorities in synthetic biology. His interests include new synthesis routes for drugs and biofuels, among others. As a chemical engineer by training, Jay has been honored one of the top 10 most influential biologists alive, merging biology and engineering sciences. We cordially invite chairs and group leaders of RWTH Aachen University and Forschungszentrum Jülich to attend the colloquium and take part in an intensive exchange on possible cooperation across disciplines – according to the mission of RWTH Aachen University “from strong natural sciences to excellent engineering sciences”. It would be great, if P4SB becomes the solution for problems like this! Our partner CSIC put P4SB as news in Spanish and English on their website. Well done! 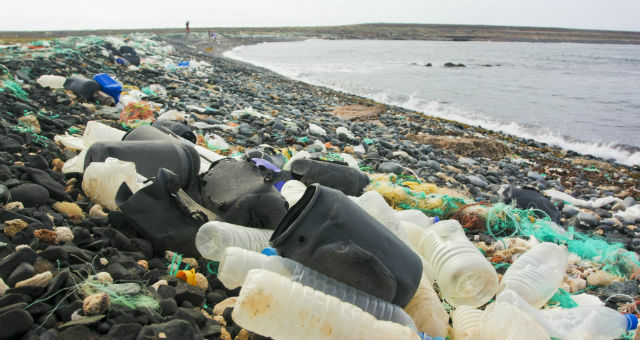 Plastic particles with a diameter smaller than 5 mm are referred to as microplastics. 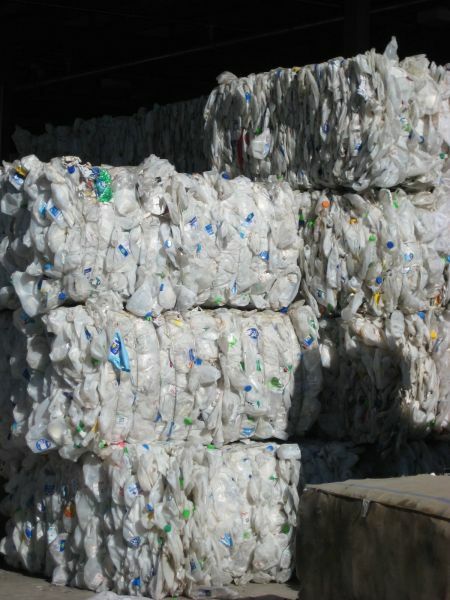 These can be secondary fragments created by the breaking up of larger pieces of plastic such as packaging materials, or fibres that are washed out of textiles. They can also be primary plastic particles produced in microscopic sizes. These include particles used in cosmetics and in other body care applications. What are the most important sources of microplastics? This question will be answered by the latest findings of studies in Norway, Denmark and Germany. Different sources of microplastics will be introduced to derive a comprehensive understanding of their origins as well as their fate and accumulation in the environment.